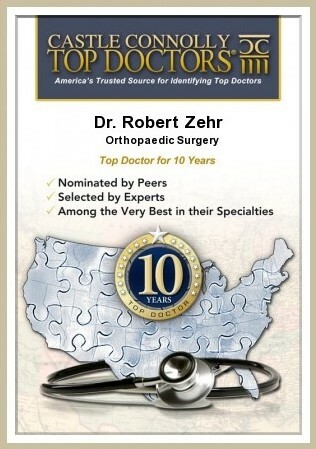 Revision joint replacement - Orthopedic Surgeon For Hip, Knee Surgeries at Zehr Center In Naples Florida. As people live longer and more people receive joint replacements at younger ages, it is expected that an increasing number of those implants will wear out and / or fail for some reason. In these cases a second operation will be necessary to replace or revise the failed first replacement and this procedure is referred to as revision joint replacement. The increasing demands placed on these implants by patients in terms of longevity and durability; and expectations of patients to maintain their active lifestyles even with a joint replacement has presented a considerable reconstructive challenge to the surgeon, most of whom will not even attempt these complex revision surgeries. 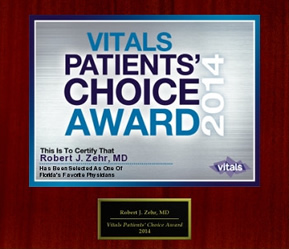 Fortunately, despite the complexity for the surgeon and the prolonged rehabilitation for the patient — if the underlying cause for the failure of a joint replacement can be determined and a well thought out plan is executed well, a satisfactory outcome for revision joint replacement can be as high, with up to 90% of patients having a good to excellent result. It is important to have an experienced surgeon and support staff to take on the difficulties inherent to this type of surgery in order to improve the chances of achieving this high rate of success. The most common reason why a hip replacement fails is loosening of the stem on the femoral (thigh bone) or acetabular (cup or socket) side. This can occur with or without infection. In almost all cases the presenting symptom of a failed hip implant is PAIN! This is especially true if the implant is coming loose from the bone or there is an infection around the implant. Associated symptoms include stiffness of the joint or a persistent limp. In the case of instability or frank dislocation, the hip may feel just fine until which point with even a slight twist, it disengages from the socket and “pops out” leading to sudden pain and an inability to weight bear on the involved leg. Most pain in a well done knee replacement does not constitute the need for a revision and can be handled by more conservative measures. Current estimates indicate approximately 10% of joint replacement surgery done annually is to revise part or all of a previously done knee replacement. The most common reasons for failure and subsequent revision are for pain from an implant that has loosened from the supporting bone, for instability problems or for the devastating development of an infection in the artificial joint. As with the hip, in almost all cases the presenting symptom of a failed hip implant is pain and associated symptoms include stiffness of the joint or a persistent limp caused by the failing joint.